We want to share the findings and results we have found so far in the project. We have, since the project started, met 66 SMEs (small and medium-sized enterprises) that work with information and development for users of vehicles and infrastructure. Many participating SMEs are concentrating on establishing good trade relationships in Europe before expanding beyond Europe. European countries of particular importance to most clusters’ SMEs were Germany and the Scandinavian countries (Denmark and Norway). United States of America (USA) was mentioned in eight out of nine focus group sessions as a promising third target country to focus on. South East Asia and China are further promising third target countries/regions outside Europe. Commonly perceived trajectories and problems to internationalisation are of financial and cultural nature. Focus group session participants agreed that finding suitable local partners, especially sales partners, who can provide guidance within the local market, are key to succeed in a new market. French companies participating in Mov’eo’s three focus group sessions already hold business contacts in Sweden, Germany, the United Kingdom and Norway; with Germany and Sweden being of particular importance. Outside Europe, French companies have established trade connections with Asian countries, such as China, Japan and South Korea, as well as the Middle East, Australia and Africa. Important for trade is also USA. Promising countries and regions French companies would find interesting to target are, most importantly, countries in South East Asia, but potentially also Latin American countries, such as Colombia and Brazil. Yet, the focus group discussion shows that companies see many curfews and risks in Latin America due to political and market instability. To increase export in potential markets such as Brazil, India and Turkey, they see a need for lobbying, as the countries are unstructured. Export in Europe could possibly be increased in Finland, Poland and Denmark. German companies participating in bwcon’s two focus group sessions have already established trade relationships with France, Switzerland, Sweden, Spain and Luxemburg within Europe. Outside Europe, they hold trade relations with South Africa, Canada, Malaysia, and strong ties with China, India, and USA. Even though relationships have already been established, they are looking to expand into new markets and to deepen their relationship with particularly promising markets such as China. South East Asia is also indicated as a potential market with promising opportunities among emerging countries. 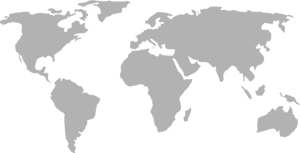 Within Europe, participants refer to the United Kingdom and Poland as interesting markets because leading companies in satellite navigation are located there. Most participating Swedish companies have some activity abroad, which they would like to expand. The main interest lies in deepening relations with European countries (Denmark, Holland, Norway and Germany). In addition, Canada, USA, China and South East Asia were of interest outside Europe. A few participants were also open to new areas, such as South America. The participating companies agreed that it is key to foster local knowledge in new markets before expanding. Therefore, they need sales partners and potentially similar companies in their target market to streamline their offer abroad, find suitable customers and hence manage their market entry successfully. Italian SMEs partaking in the focus group discussions saw a particular need to strengthen their European partnerships before expanding outside Europe. Trade partners of particular interest in Europe were Germany, Norway and Denmark. Outside Europe, USA was identified as an important market with good entry facilities, with some of the companies having already set up offices or trade relationships in USA. Markets of interest outside Europe could also be the Gulf States (United Arab Emirates and Iran), Russia and Latin American countries, including Chile and Argentina. United Arab Emirates, particularly Dubai, was seen to have good opportunities for Italian companies due to rapid economic growth, stable economic conditions and easy tax systems.